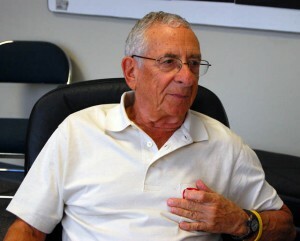 Two pieces I’ve done recently have struck a chord with readers: Shoot a Cyclist for Safety and an account of a crash on A1A in Delray Beach where witnesses said a motorist turned in front of a cyclist who had a green light. Cyclists are outgunned (literally in some cases, as the stories above show). Motorists have AAA, developers, oil companies and others with big bucks pushing their agenda, but cyclists are such a fragmented group that WE can’t even agree on what we want. And, to be honest, most of us would rather ride our bikes and complain about bad drivers than do the dull work to make things better. 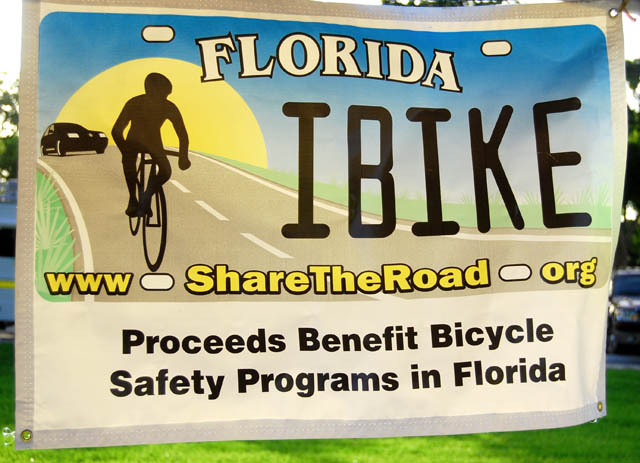 Florida Bicycling Street Smarts is a great collection of safe riding tips and what Florida law really says about cycling. Florida Bicycle Law Enforcement Guide is great when you run into a cop who tells you you don’t belong on the road. Odds are that you know more about the law than he does. Group Riding Brochure tells how to make group rides safe, enjoyable and a billboard for exemplary behavior. Individual membership is $25 a year. 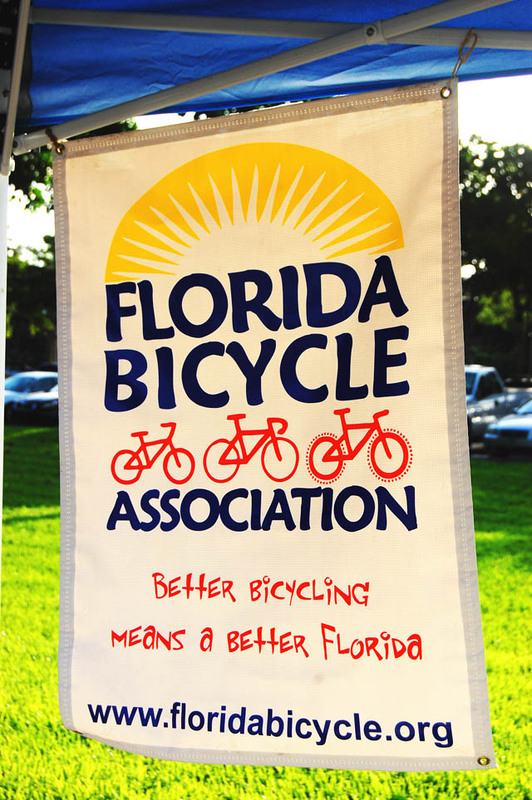 Some bike club memberships will throw in a membership to FBA for free and some bike shops will give discounts to FBA members. The Board of Directors met in West Palm Beach. I never appreciated the juggling act that goes on between bicycle groups, cyclists, law enforcement, state agencies and everyone else until I sat through a full day of discussion. 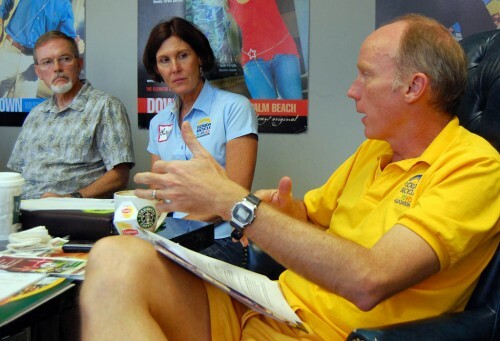 The FBA works hard not to step on the toes of other cycling groups with their own agendas. They also have to figure out how to represent the views of cyclists who want money spent on multi-use paths vs. bike lanes vs. pure vehicular cyclists who say we have a right to the road and don’t need any special accommodations. To give you an idea of how much stuff they cover (and, in some cases how it falls into the Dull But Necessary Category), I’m going to post some of the minutes of the meeting along with pictures of the members and some of the presenters. David appointed a nomination committee of Mike Lasche, Mighk Wilson and Laura Hallam to review current Board and Advisory member positions for renewal at the next board meeting to be held in October. 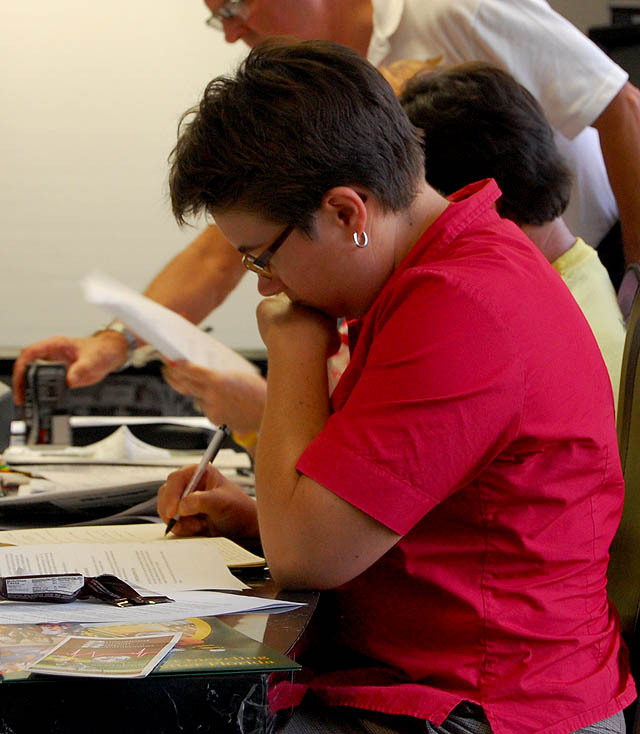 David appointed a subcommittee of himself, Don and Stephanie to review the Bylaws and Policies & Procedures manual. 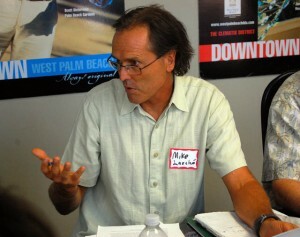 David appointed a 2010 Legislative Strategies subcommittee of Mike, Mighk, Dan Moser, George Martin and Laura Hallam. 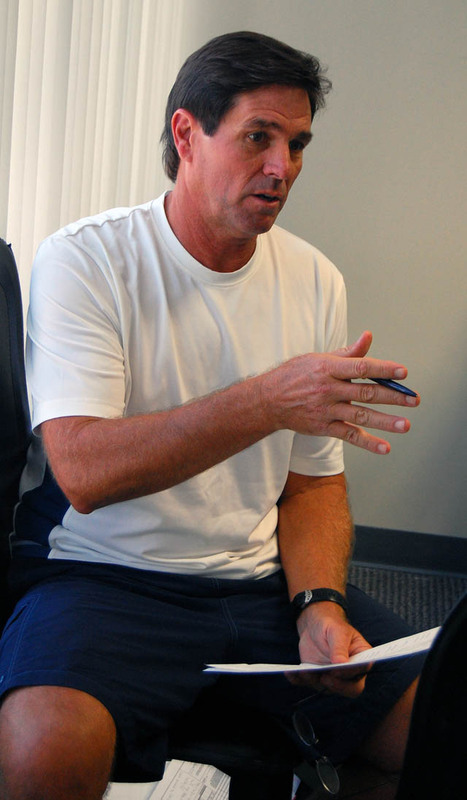 A survey will be distributed to the membership/FBA News list to rank their top three initiatives based on the seven or eight reviewed at the meeting. [Note: I found this the most enlightening discussion of the day. Determining what you want to fight for is a careful balancing act. You don’t want to open a can of worms in some cases by asking for a wholesale review of state statutes dealing with cycling, for example, because you could lose more than you could gain. A proposal to require law enforcement officers to fill out a long form for every bicycle incident sounded good from the standpoint of collecting statistics, but it may get opposition from LEOs without really accomplishing much in the long run. Passing laws to prevent cyclists from being harassed by motorists has been a flashpoint for yahoos (see Shoot a Cyclist for Safety) in some places where it was tried. It also makes cyclists “special” when the goal is to make bicycles just another vehicle on the road. 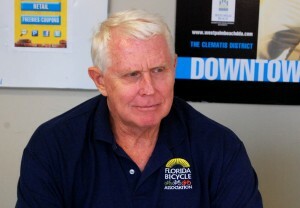 A Bike Ed Rebranding Powwow will be held in Orlando 8/22/09. Mighk and Keri Caffrey will lead the discussion. 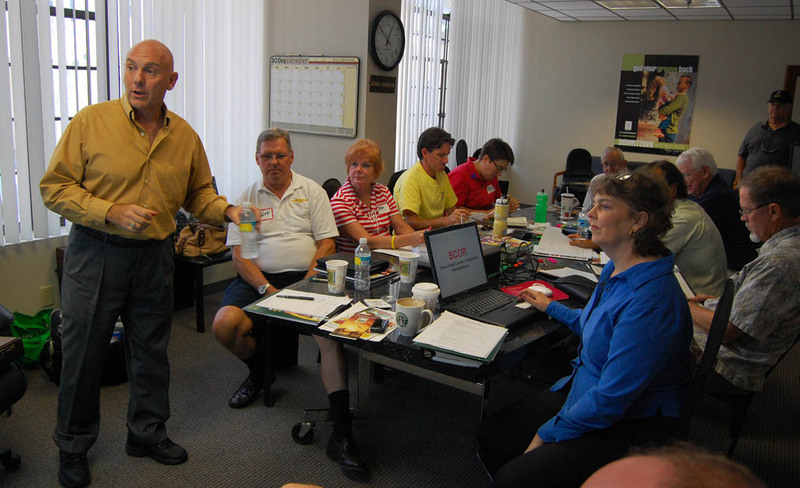 The next board meeting and annual meeting will be held in October in either Orlando or Mount Dora. Annual award presentations will also be made and/or presented at the local level based on the locale of the recipient. Jeff Hohlstein will be the director of the First Coast (Duval, St. Johns, Nassau, Clay) Chapter of FBA – the first chapter of more to come based on finding champions to further our mission at the local/regional level. 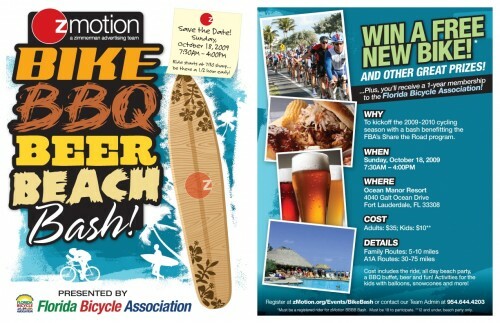 Partnership with zMotion, a Zimmerman Advertising team, to present the Bike BBQ Beer, Beach Bash October 18, 2009 in Ft. Lauderdale with proceeds benefiting FBA. 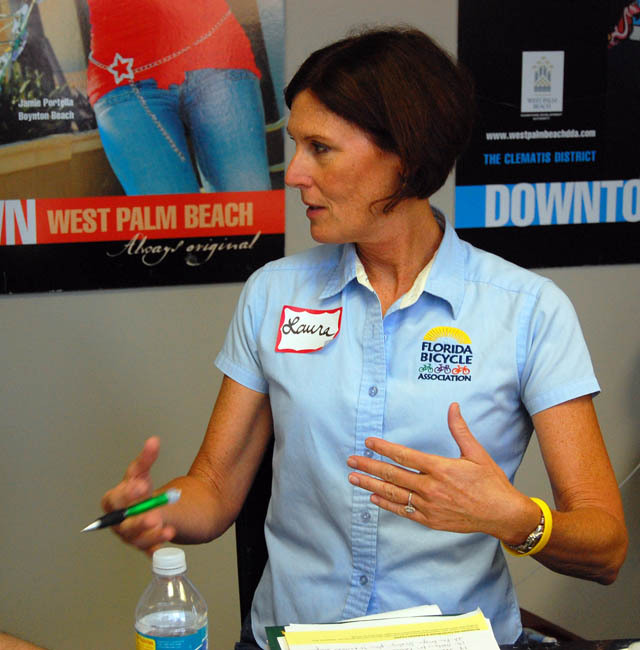 Carmen Marston, Zimmerman Advertising VP, HR Director, provided details about the event. 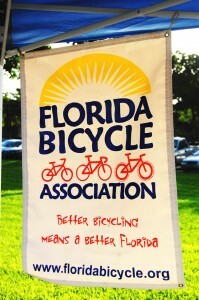 The Lake County Bike Summit/Rally will be held 10/10/09 in Mount Dora in conjunction with the Mount Dora Bike Fest. 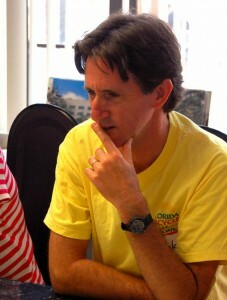 Rick has asked FBA to take the lead in promoting the Summit/Rally. 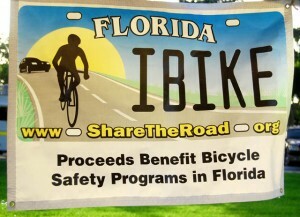 Based on this request, it might be a good idea to shift the date and location of our next board meeting and annual meeting from 10/24-25 in Orlando to Mount Dora since we’ll have a captive audience of Mount Dora Bike Fest participants. If you’re in agreement, I’ll work out the logistics but it makes sense to have the Summit/Rally and Annual Meeting Saturday, 10/10, in the mid to late afternoon while MDBF participants are hanging around the headquarters area. The board meeting could actually still be held in Orlando Friday, 10/9, evening or in Mount Dora. LET ME KNOW YOUR PREFERENCE ASAP PLEASE. I subscribe to the FBA blog and got the news of the newly formed First Coast chapter yesterday. I’m very excited about that and hope that it spreads quickly. Jeff Hohlstein sounded like he was a guy who had his act together. I think he’s going to do a great job. 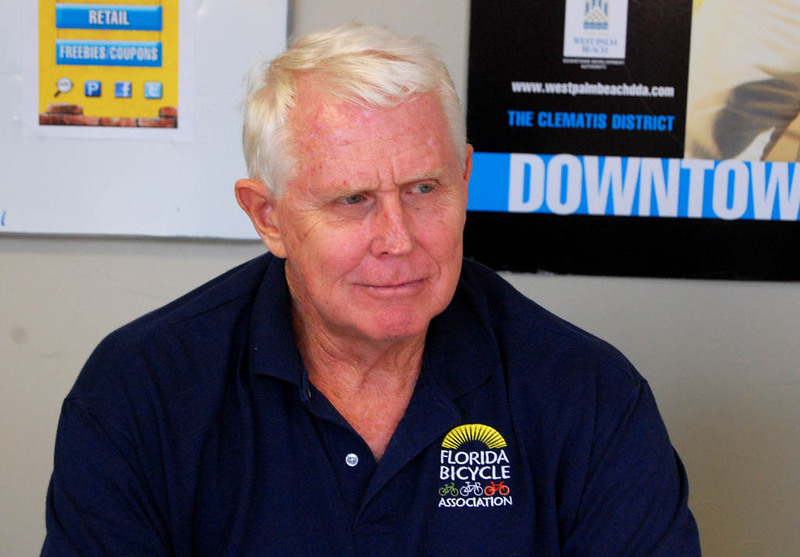 The West Palm Beach Bike Club, one of the oldest in the state, died several years back. It wasn’t that the club lacked riders, it was that they couldn’t find enough folks to handle the leadership positions. Next PostNext Is It Going to Rain on My Surly LHT?